Robin Robinson is a private consultant to the American craft whiskey industry, where he helps small brands identify their unique stories to penetrate and activate the marketplace. Prior to that, Robin spent six years helping to build the Compass Box Whisky Co. brand in the United States as its U.S. Brand Ambassador and Brand Manager, where he was responsible for sales, retail and consumer education, and developing consumer relationships through field marketing events. These events included tastings, pairing dinners, seminars, festivals, and social networks. Compass Box remains a dear and current client. 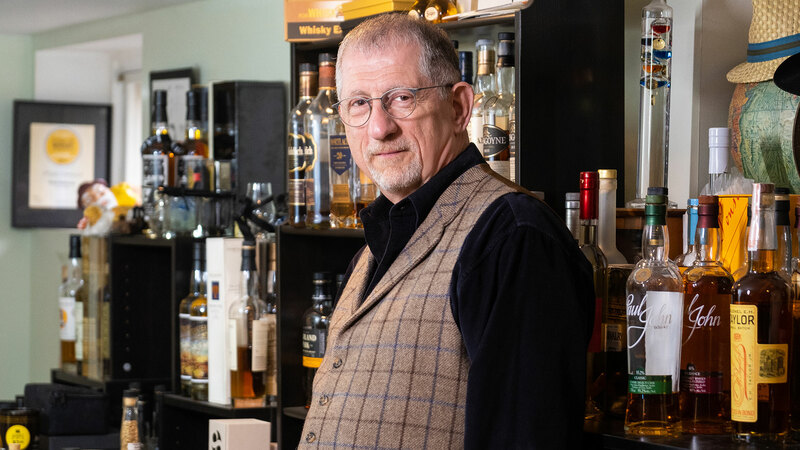 He has combined his background in theatre and technology sales with a life-long love for single malt Scotch whisky and is in demand as a lecturer on brown spirits and whisky. Aside from the many spontaneous whisky lectures during the course of his duties, Robin created the popular “Whiskey Smackdown” series at the renowned Astor Center in New York; he has also taught at the Culinary Institute of America, the International Culinary Institute, the Barbary Coast Center, The Flatiron Room, and various USBG chapters across the country. He has been featured in publications such as 201 Magazine, the Chicago Sun Times, AskMen.com, and the Heritage Network, and was recently awarded “Highest Commendation” from Whisky Magazine’s 2014 Icons of Whisky. He lives in New Jersey with his wife, a suburban chicken farmer, and has a daughter who is also in the spirits industry.